What are the dangers of the use of emt protecting the ground rod wire(besides the emt not bonded), does the wire heat up like a ballast? I do not believe there is any blatant danger in using EMT to protect the GEC. The reason this EMT is required to be bonded to the conductor has to do with impedance. It is possible that the metal raceway could increase the impedance of the GEC under fault conditions. The raceway could get hot if enough continuous current is flowing through the EGC. Bonding the ends of the raceway will not have any effect on this type of heating. Scott where did you get your figure of double? I have seen some knowledgeable people state the effect is negligible, certainly not double. Not busting your chops, I really want to know the truth and am curious to what you have seen. I do agree it should be bonded, no matter what else the code requires it to be bonded. I still do not see a terribly dangerous situation. I was actually coming back here with some code references but you already provided one of them. 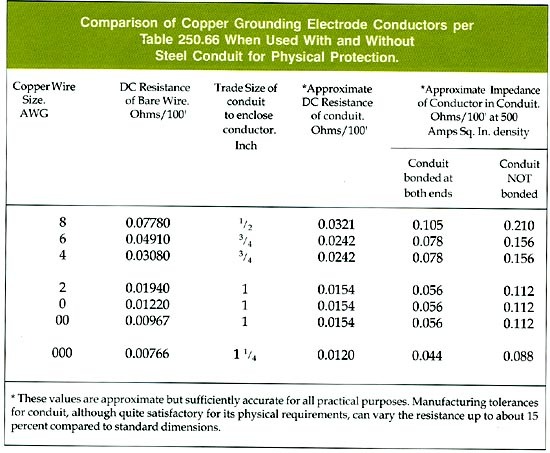 Here is another, 250.64(B) tells us that when the GEC needs to be protected from physical damage it "shall be in rigid metal conduit, intermediate metal conduit, rigid nonmetallic conduit, electrical metallic tubing, or cable armor." I agree with you Iwire. I find that idea hard to believe really. The reason I say that is, because in any healthy Electrical Installation the GEC shouldn't be carrying any current anyway. 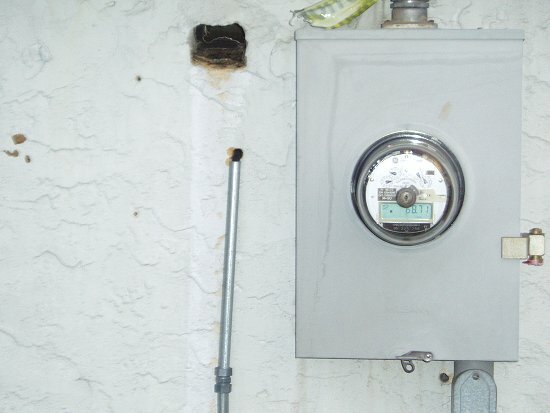 It's only under Fault conditions that the GEC should carry current (Fault current). That's what causes a CB to trip. This is for an Unhealthy System with current flowing on the GEC. Metal enclosers for grounding conductors shall be continuous from the point of attachment to cabinets or equipment to the grounding electrode and shall be securely fastened to the ground clamp or fitting. If mechanical protection is required for the grounding conductor it shall be a non-magnetic enclosure such as pvc conduit. 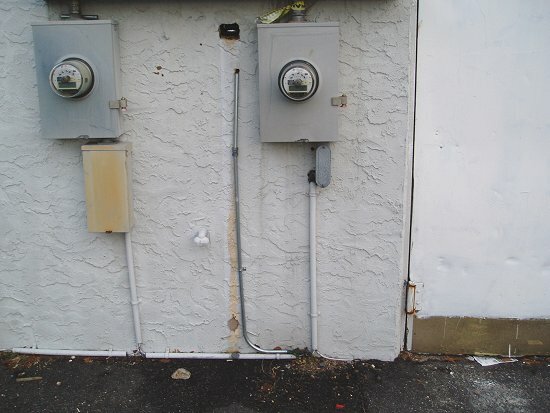 The reason is that the increased impedance in the grounding conductor, by itself in a metal raceway, could so restrict the flow of fault current that a great deal of damage is done before a fault could be cleared, if it was cleared at all. This information is from the canadian electrical code, but the theory is the same anywhere. The theory is the same but the code is not. 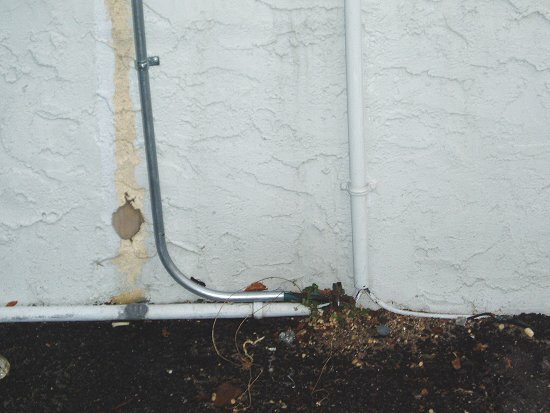 We can use metal conduit and it does not have to be continuous if we bond it at the ends. What size is that wire?